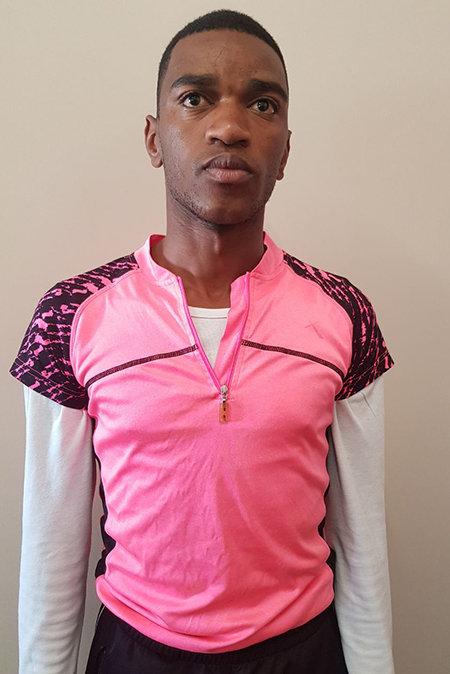 Ronnie Phefo, a student on the North-West University’s (NWU’s) campus in Mahikeng, is taking part in cross country marathons to fight for a good cause. Ronnie, a final-year BEd student, is a dedicated and ardent runner who uses participation in ultra-marathons to make a statement against all sorts of abuse. He has participated in various short and long distance marathons across the country, including the Comrades Marathon in 2014 and 2015, and the Warmbad Bela-Bela Marathon with a distance of 42,5 km. Having fallen in love with the sport at the tender age of 12, Ronnie has never looked back. In high school he predominantly took part in short distance running but soon realised that he wanted to push further and tackle long distance marathons. With his passion for the open road, Ronnie hopes to motivate people to work towards the ideal of zero tolerance regarding any form of abuse of. His love for the sport has since seen him starting an athletics team in Radium, from where he hails from. This initiative encourages teenagers to take part in sports and also facilitates workshops to educate and assist them in their fight against abuse. “My participation in athletics on campus has given me the confidence to dream of one day taking part in the Olympics,” adds Ronnie. Ronnie Phefo runs to make his voice heard against any type of abuse.